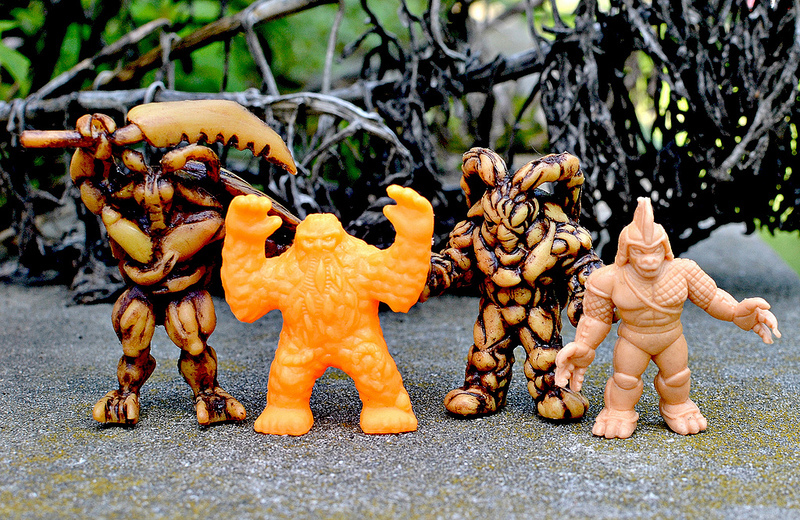 Following up on their Mutants series first released last year, Imperfecz and Ironhaus Pro have once again joined forces to unleash more little rubber weirdos into the world. This time it's the Infestors, a set of roach-humanoid warriors. There's a whole storyline behind the Infestors, which expands on the story of the Mutants. You can read up on it over at the Imperfecz blog. In short, the Infestors are a sub-group of the Mutants, created using various species of roaches based on their survival ability. Luke Harris (Imperfecz) and Jimmy Rommel (Ironhaus) plan to release six different Infestors, beginning with the set of two shown here (following a previous brief run of "Grunts" roach characters). This initial set consists of Luke's "Kraagh" and Jimmy's "Venturo." They come packaged carded in a blister that can be removed and replaced without damaging it. The back of the packaging includes a brief summary of the Infestors story and bios for both characters, which is definitely a nice touch. In addition to the two roach characters, each package comes with a "build a figure" part in a one-off, random color, which you can join together with other pieces collected to create a separate figure. Once again, it's clear that there was a lot of work and thought put behind this release to make it extra special. As for the roaches, they're very detailed and pretty creepy-looking, like any good roach warriors should be! 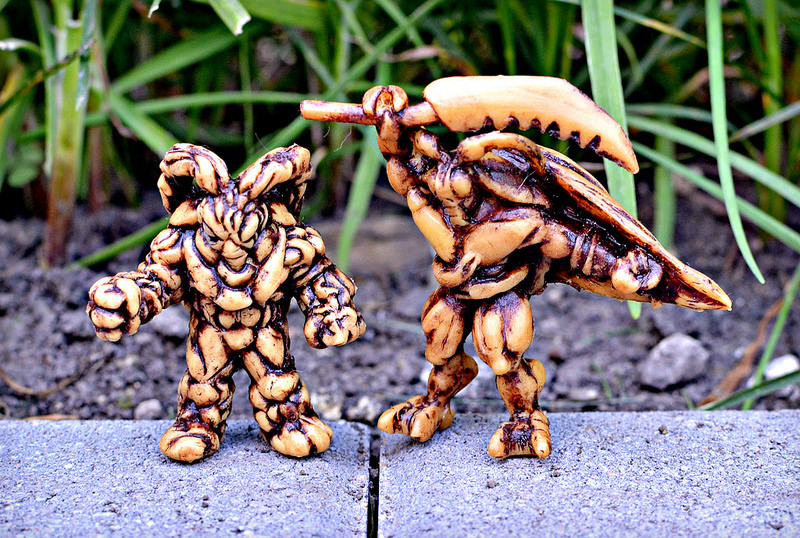 Both Kraagh and Venturo are cast in a brown/yellow-ish rubber with a dark brown rub, which really accentuates all the lines and crevices of the sculpts. I can't remember seeing this effect used on many indie mini figures, and while I typically prefer my minis completely monochromatic, I have to say the rub really enhances these guys and I'm glad it was used. The figures are around 2 inches tall, with Kraagh being the taller sculpt. 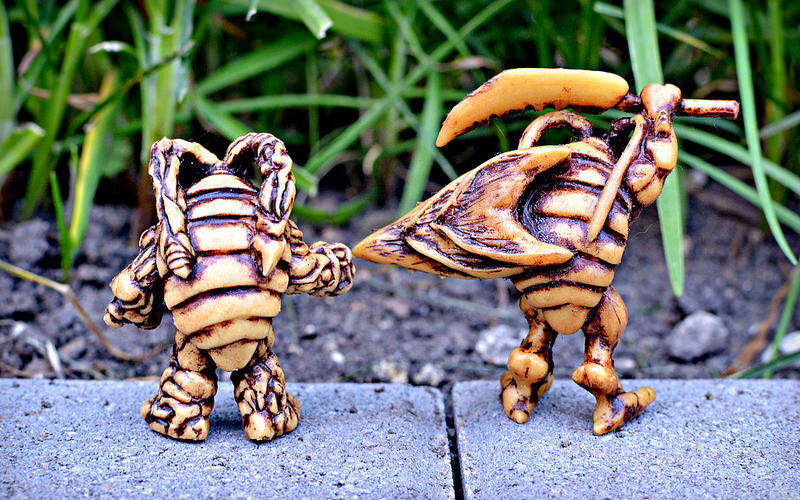 I like how although they're both roach-based characters, the two sculpts have a unique look. Venturo has a bulky, stocky look. Kraagh also looks plenty brutish, but the sculpt is a bit leaner and more dynamically-posed, waving his "Atlas Mandible" sword above his head. Both are very well-done, and great choices for introducing the series. If you'd like to pick up a set of Infestors for yourself, you can do so for $30 through the Imperfecz store. Be sure to keep an eye on the Imperfecz blog for news about upcoming figures in the series. Their details really popwith that wash. The $30 per set is a typo, right?!? Is it supposed to be $3 per set? I think for $3 a pair, I'd rather get minikins or crashlings or any of the other minifigures that cost about $1.00 to $1.50 per figure. Nope, not a typo. That's a typical price for indie-made mini figures, especially considering they come with packaging that goes beyond just a plastic bag. 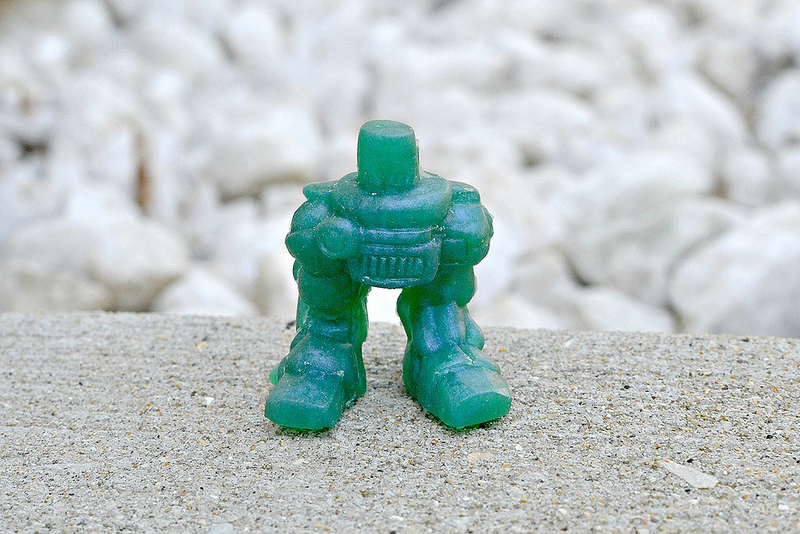 These kinds of custom-cast rubber figures usually go for $15-20 apiece. Figures like Minikins and Crashlings are much cheaper because they're mass-produced in a factory. I've been waiting for an indie toy line to try their hand at a Build A figure concept. Looks like I'm gonna need to get a set.